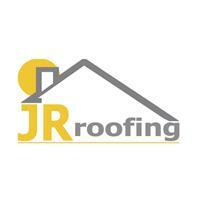 JR Roofing Lancs Limited - Roofer based in Lytham St. Annes, Lancashire. JR roofing are roofing contractors based in Blackpool, Lancashire. We pride ourselves on our 5* service and guarantee a high standard of workmanship. We undertake all types of roofing work from slate and tile re-roofs to emergency repairs and general roof maintenance. We ensure the highest finish with a quality that is made to last. We offer a variety of products to suit different needs and budgets. We are fully insured and all our work comes guaranteed.